We are a family run business, who are established for over 25 years. 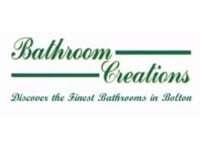 We have an extensive showroom, displaying high quality bathrooms, tiles and bathroom accessories. We provide a no obligation, free quote should you require one. Piece of mind assured - we take care of everything; from conception to completion. Absolutely no sub-contractors - we have our own, fully qualified tradesman ensuring quality work and trust. We just wanted to say a big thank you to Debbie, Dan and Joe. From our initial meeting with Debbie we knew this was a small family firm we could trust. Debbie's product knowledge and flair for design together with Dan and Joe's craftsmanship and attention to detail our bathroom dream has become a reality. We would certainly recommend this company . Would not hesitate to recommend this family firm. Deborah was great in helping us choose what was right for us and our budget. Dan and Joe did an excellent job from the start to finish and are tidy and respectful workers. We couldn't be more pleased with the end result and all for a fair price. 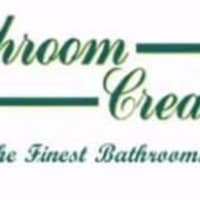 We did look at the reviews before visiting Bathroom Creations when needing to upgrade our old and tired en-suite. Deborah was excellent at suggesting the best use of the space and at putting together a range of products and finishes to complement each other. At no time did we fell pressurised to spend more than we needed. Dan and Joe took a real pride in their workmanship when fitting the bathroom. They were well organised and tidied up as they progressed. We were very comfortable with them working in our home and the finished bathroom really does have a luxurious finish. thank you.